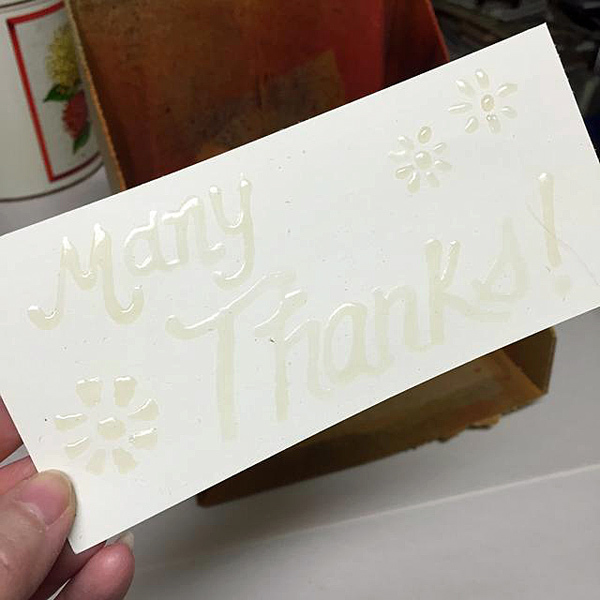 Project Description: Learn how to use Incredible White Mask Liquid Frisket from Grafix to make a mask for ink resist for the sentiment on a card. Cut a 6 1/8 X 2 3/4 piece of ivory cardstock. 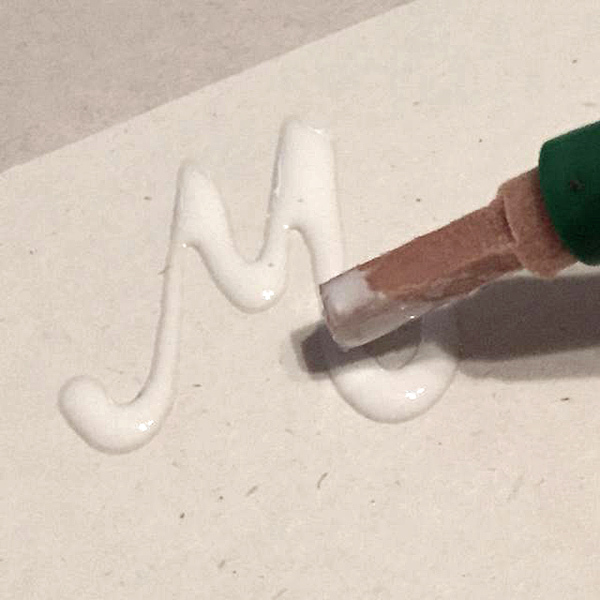 Dip the provided Nib into Liquid Frisket then begin to write sentiment onto the front of ivory cardstock. Re-dip Nib as needed and work slowly, letting Liquid Frisket flow onto the page. 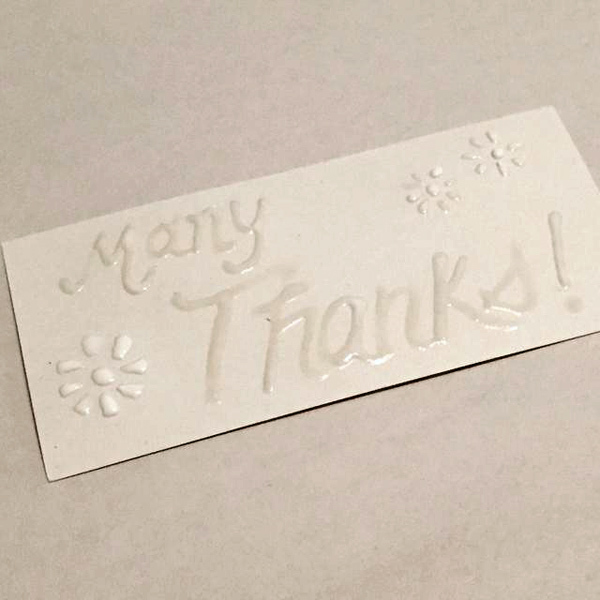 Once sentiment has been added, add flowers in the corners. 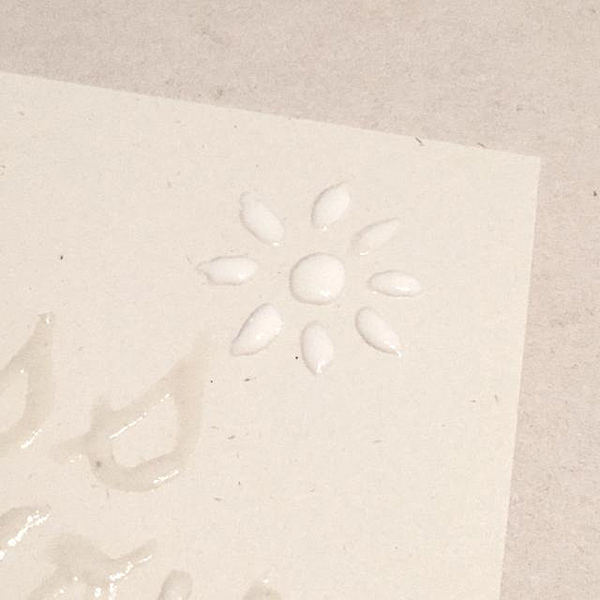 You can use Nib to mold flower petals by gently tugging at outer ends. Once the sentiment and flowers have been added, set the piece aside to dry. You will know when the Liquid Frisket is dry by looking to see that all portions have gone from opaque white to clear and shiny. 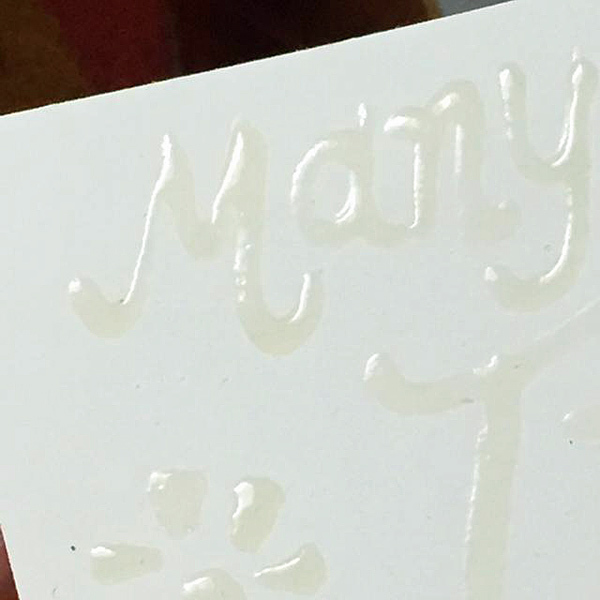 Once the Liquid Frisket is completely dry, it is ready to act as a “resist” for the ink. Place ivory piece in Color Catcher. Starting at the left side, and begin spritzing using Pinkolicious Ink. Next, use Lemon Drop to fill center portion. 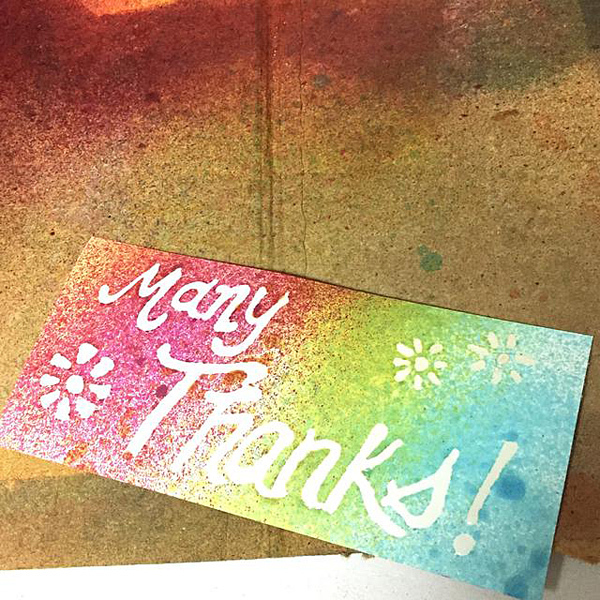 Use Mermaid ink last to finish inking card. 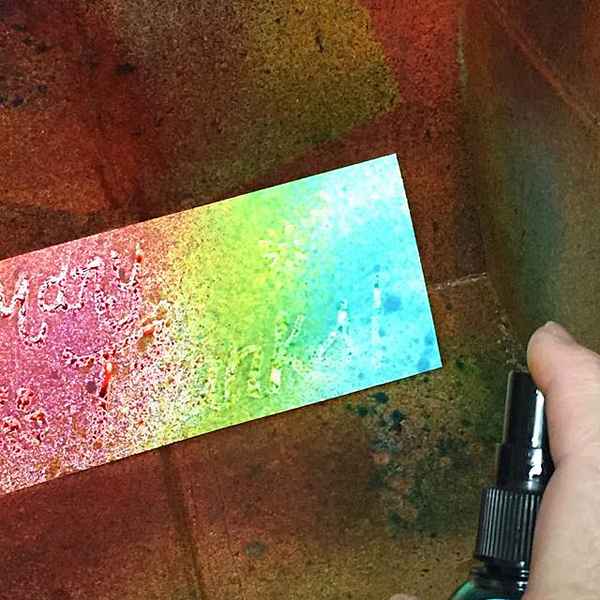 ColorBox Dye Ink Spritzers are very concentrated, so don’t over spray. 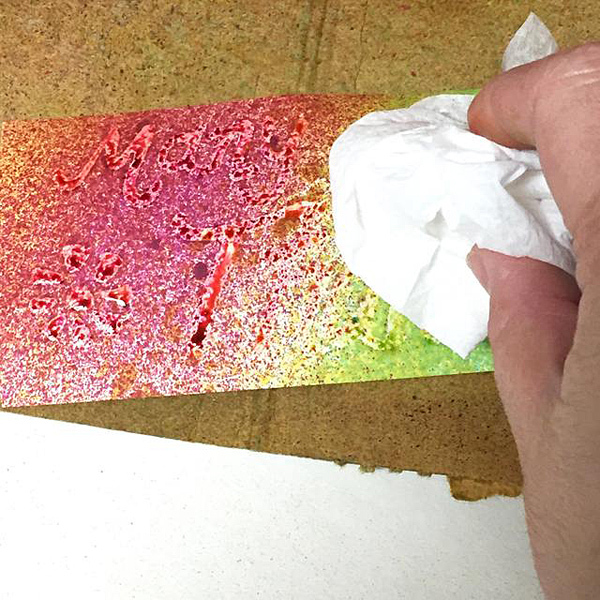 Use a paper towel to gently dab at sentiment to remove ink that will puddle on it. 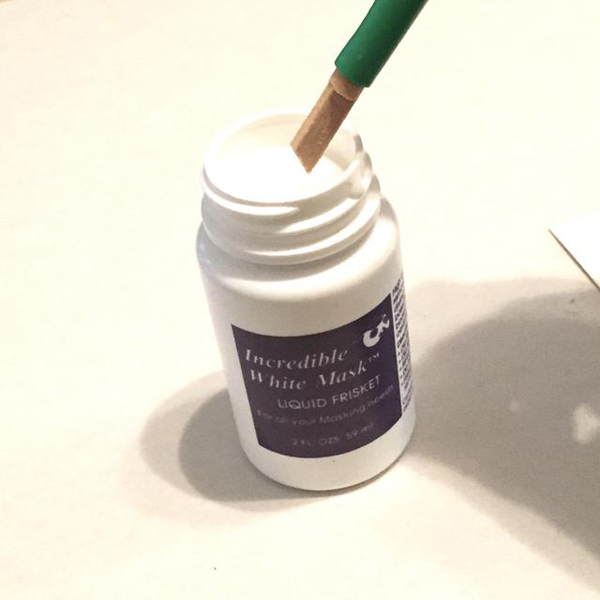 Use the Liquid Frisket Remover to remove the Mask from the cardstock. Place piece back in Color Catcher and spritz lightly using Pearl Rain. 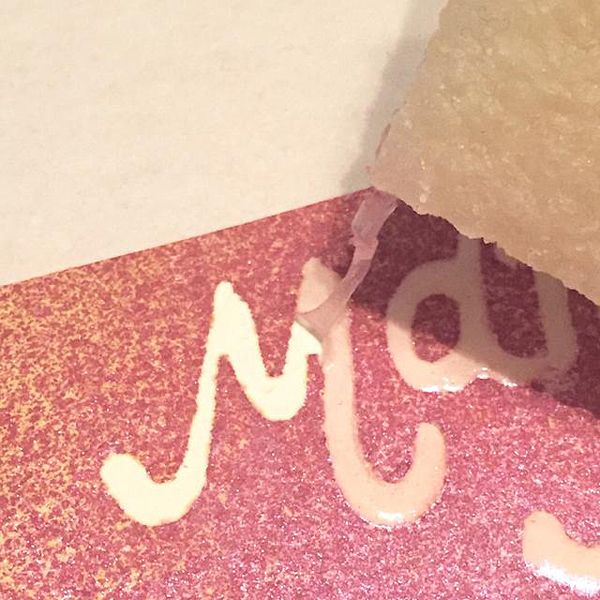 The Pearl Rain adds a soft shimmer. Let the piece dry COMPLETELY before proceeding to next step. Your piece is now ready to adhere to the card front. 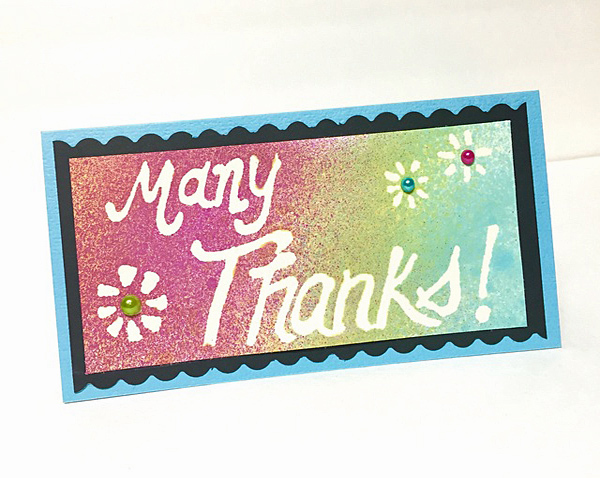 Cut a 7 X 7 piece of teal cardstock and fold in half to make a card. 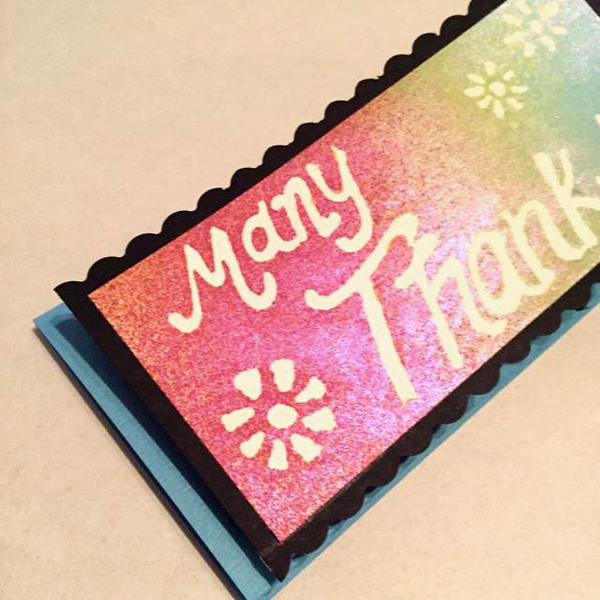 Use a border punch, to punch edges of a piece of black cardstock to fit on the card front. Approximately 6 3/4 X 3 1/4. Adhere to the ivory cardstock to the black cardstock. Then adhere to the assembled piece to card front. 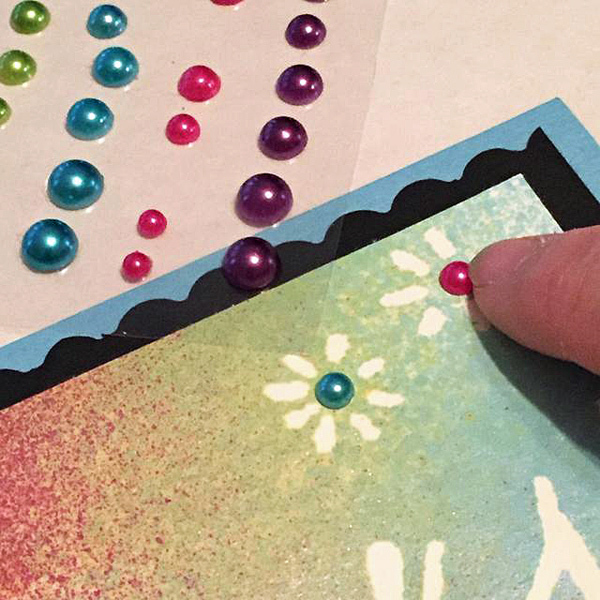 Add pearls to flower centers to finish the card.